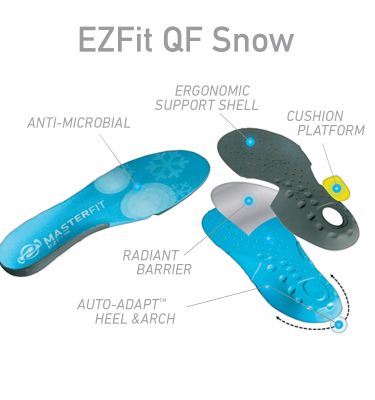 Whatever you do on your feet, you’ll do it better and in more comfort with EZFit Intelligent Insoles in your shoes. 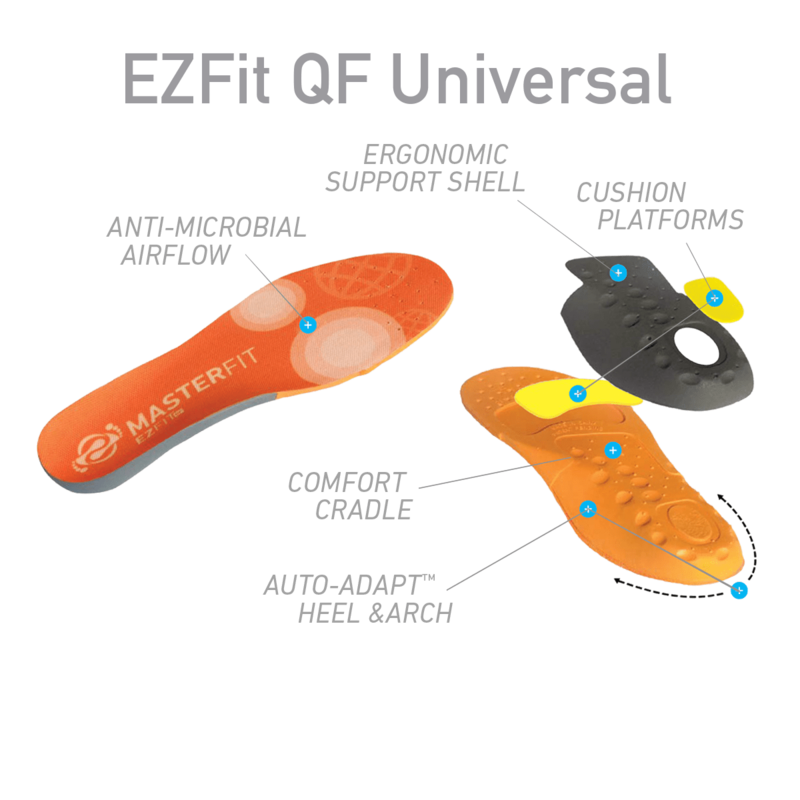 EZ•Fit Universal improves fit and function in most sports, work and casual footwear. Finish workouts, games, hikes, runs or long work shifts ache-free. Pedorthist-designed shape and premium materials provide long-lasting performance. Auto-Adapt™ technology personalizes shape to custom fit your arch and heel. Poron® Cushion Platforms beneath the heel and forefoot absorb harsh impacts at sensitive impact points. Ergonomic Support Shell improves balance and stability. 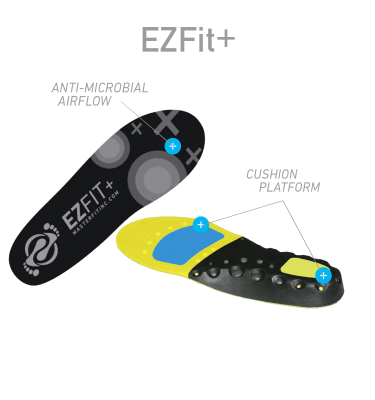 Anti-microbial topcover reduces odor, blistering and moisture to keep feet dry and comfortable. Select LV (Low Volume) for close-fitting footwear with thin stock insoles including cleats, dress sport shoes, fashion sneakers and low to medium arch feet. Select REG (Regular Volume) for footwear with thicker, removable insoles including most athletic shoes, work boots loose fitting shoes and medium to high arch feet.